On Sunday April 22, 1804, Mr. Pitt sat down at his rented property on 14 York Place (now Baker Street) in order to humbly request His Majesty, King George III's permission to form a comprehensive, coalition government. Pitt chose to transmit the letter through the Lord Chancellor with the intention that he would then pass the letter to the king. It was delivered to His Majesty on the following Friday, 27th April. It is with great reluctance that I presume to trespass on Your Majesty’s attention; but as the view I entertain of publick Affairs will shortly render it my indispensable Duty in Parliament to declare more fully and explicitly than I have done hitherto my Opinions on the conduct of Your Majesty’s present Ministers, I can not help feeling a most anxious wish, previously to lay those Opinions before Your Majesty. Your Majesty will do me the justice to recollect that on retiring from Your Majesty’s Service, it was my first wish to be enabled to give every degree of support and assistance in my Power to those to whom Your Majesty confided the Administration of Your Affairs. I continued to give this support and assistance, with the utmost zeal and cordiality, as long as it was possible for me to do so, consistently with my Sincere and honest Opinions on the scale of publick Affairs; and even long after I saw considerable reason for highly disapproving many important parts of the conduct of Government, I still abstained from joining in any system of parliamentary Opposition. During the whole period since the commencement of the present War, although I have throughout seen but too much reason to lament the want of any vigorous and well considered system on the part of Ministers, adapted to the new and critical state of Affairs, my great object has been, instead of seeking Opportunities for censure, to contribute as far as I could, by the humble efforts of an Individual, to supply what I have considered as important omissions, and to recommend more adequate measures for the Defence of the Country. The experience of now nearly twelve months, and the observation of all the different measures which have been suggested or adopted by Government, and of the mode in which they have been executed, has at length impressed me with a full conviction that while the Administration remains in its present shape, and particularly under the direction of the Person now holding the chief Place in it [Henry Addington, Lord Sidmouth], every attempt to provide adequately and effectually for the publick Defence, and for meeting the extraordinary and unprecedented efforts of the Enemy, will be fruitless. In conformity to what passed between us yesterday, I now proceed to state to Your Lordship on Paper the sentiments which I am desirous of humbly submitting for His Majesty’s consideration. It becomes my indispensable Duty to entreat His Majesty’s permission to lay before Him distinctly and without reserve the best Opinion which I can form respecting the nature and description of Administration which appears to me likely to be most conducive to His Majesty’s Service, together with the reasons for that opinion; but in doing so, I am anxious at the same time humbly to respect the Assurance that I do not presume to request more from His Majesty than deliberate consideration to the Proposal which I feel it my Duty to submit to Him. If, after such consideration, and receiving such farther explanation as the nature of the subject may require, His Majesty should feel insuperable objections to any part of the Proposal, much as I must in that case regret His Majesty’s decision, I shall feel myself bound to acquiesce in it; and if I should in that case be honoured with His Majesty’s farther commands to endeavour to form a Plan of Administration free from such objections, I shall be ready to obey them to the best of my Power. My opinion is founded on the strong conviction that the present critical situation of this Country, connected with that of Europe in general, and with the state of political Parties at home, renders it more important and essential than perhaps at any other period that ever existed, to endeavour to give the greatest possible strength and energy to His Majesty’s Government, by endeavouring to unite in His Service as large a proportion as possible of the weight of Talents and Connections, drawn without exception from Parties of all descriptions, and without reference to former differences and divisions. There seems the greatest reason to hope that the circumstances of the present moment are peculiarly favourable to such an Union, and that it might now be possible (with His Majesty’s gracious approbation) to being all Persons of leading Influence either in Parliament or in the Country, to concur heartily in a general system formed for the purpose of extricating this Country from its present difficulties, and endeavouring if possible to rescue Europe from the state to which it is reduced. The consequences of the French Revolution universally understood and acknowledged, its effects in France, and Europe, and the World, and the present conduct and character of the First Consul, seem to have produced a very general desire that all the abilities and resources of the Country should be exerted in meeting its present danger; and in pursuit of this object, all the points of difference, however great and important, which at a former period prevailed in this Country, seem, to all practical purposes, to be superseded. The anxious advantages which may be derived from such a comprehensive system as I have pointed at, are so obvious that it will not be necessary long to dwell on them. It is in the first place evident, that Zealous and united as the Country appears to be at the moment in its efforts against the Enemy, the present Contest may probably be of very long duration, attended with great and heavy Burdens, and likely to press severely on the resources and convenience of all Classes of Persons. Under such circumstances, with the change always unavoidable, of unfavourable events in the course of the War, or of an aggravation of its difficulties from the accidents of its Seasons, it is impossible not to feel that a system of this nature would furnish a security that can not otherwise be obtained, for our being enabled to persevere in the struggle with unabated vigour, till it can be really brought to a safe and honourable Issue. The same considerations which apply to this Country separately will operate as powerfully if not still more so, on our means and prospects abroad. A firm and stable Administration, not thwarted or embarrassed by any powerful Opposition either in Parliament or the Country, must furnish the best and perhaps the only chance of attracting sufficiently the respect and confidence of foreign Powers, and of improving any favourable opportunity to unite them once again in a great and combined effort for reducing the Power of France within limits consistent with the safety of other States, or at least of rescuing from its Yoke some of those Countries in whose Fate, both from connection, inclination, and policy, we ought to feel most deeply interested. In addition to those two great considerations, the state of Ireland, and the delicate and difficult questions which may arise respecting the internal condition of that Country, are scarcely less deserving of attention. I need not repeat to Your Lordship (which has long since been known to His Majesty) how fully my own determination has been formed to prevent His Majesty being ever disquieted for a moment (as far as depends upon me) by a renewal of the Proposition which was in question three years ago, respecting the extension of privileges to the Catholics: But I can not help seeing that although my own conduct, under all circumstances, is fixed, there may arise moments of difficulty, in which, if this Country remains divided by powerful Parties, the agitation of this Question may be productive of great Inconvenience and Embarrassment. The formation of such a System as I have supposed, would, I conceive, among other advantages, effectually remove this source of anxiety, as I certainly can never suppose or wish it to be formed on any other ground but that of all those who might form part of the Administration joining in the same determination with myself to endeavour to prevent the renewal of any such Discussion. These are the chief considerations which have led me to the clear and conscientious conviction that nothing is so likely to ensure His Majesty’s personal Repose and Comfort, and the future Prosperity and Glory of his Reign, as the Plan which I have taken the liberty of submitting to His Majesty’s consideration; and I am therefore most deeply anxious that, after full reflection, His Majesty may deem it not unworthy of His Approbation. In that Event, it would become my Duty to entreat His Majesty’s permission, before I entered farther on any Details to converse both with Lord Grenville and with Mr. Fox, in order to learn how far it might be practicable to submit, for His Majesty’s farther consideration, any Arrangement which might include them, and a proposition of those who act with them, together with some of His Majesty’s present Servants, and other Persons to whom I might wish to draw His Majesty’s favourable Attention. I have now only to request that Your Lordship will have the goodness to take the first convenient Opportunity of laying this Representation of my Sentiments before His Majesty, together with the humble Assurances of my constant sentiments of Respect, Duty, and Attachment towards His Majesty, and of my deep and grateful Sense of His Majesty’s Condescension and Goodness, in the gracious communication which I had the honour of receiving through Your Lordship. I have thought that this mode of submitting my Opinion in the first instance for His Majesty’s consideration at his most convenient leisure, was that of which His Majesty would not disapprove. I trust I may be permitted to hope, before His Majesty’s final decision on the subject, he will allow me to have the honour of personally submitting to His Majesty any farther Explanation which any part of the subject may appear to require; and I can not help also flattering myself, that the whole tenor of what I have stated will appear consistent with that Zeal and Devotion for His Majesty’s Service, which it has been my uniform wish that His Majesty should experience in every part of my Conduct. “The King has, through the Channel of The Lord Chancellor, expressed to Mr. Pitt his approbation of that Gentleman’s sentiments of personal attachment to His Majesty, and of his ardent desire to support any measure that may be conducive to the real Interest of The King or of His Royal Family; But, at the same time, it cannot but be lamented, that Mr. Pitt should have taken so rooted a dislike to a Gentleman [Henry Addington, Viscount Sidmouth] who has the greatest claim to Approbation from his King and Country, for his most diligent and able discharge of the Duties of Speaker of the House of Commons for twelve years [Addington], and of his still more handsomely coming forward (when Mr. Pitt and some of his Colleagues resigned their Employments) to support his King and Country, when the most ill-digested and dangerous proposition [i.e. Catholic Emancipation, in King George's eyes] was brought forward by the Enemies of the established Church. His Majesty has too good an opinion of Mr. Pitt to think he could have given his countenance to such a measure, had he weighed its tendency with that attention which a Man of his judgement should call forth, when the subject under consideration is of so serious a nature; but The King knows how strongly the then two Secretaries of State who resigned at that period, had allied themselves to the Roman Catholicks; the former by his private Correspondence with a former Lord Lieutenant of Ireland, shewed that he was become the Follower of all the wild ideas of Mr. Burke; and the other from Obstinacy, his usual Director [ouch]. The King can never forget the wound that was intended at the Palladium of our Church Establishment, the Test Act, and the indelicacy, not to call it worse, of wanting His Majesty to forego his solemn Coronation Oath. He therefore here avows that he shall not be satisfied, unless Mr. Pitt makes as strong assurances of his determination to support that wise Law, as Mr. Pitt in so clear a manner stated in 1796 in the House of Commons, viz. that the smallest alteration of that Law would be a death wound to the British Constitution. The whole tenor of Mr. Fox’s conduct since he quitted his Seat at the Board of Treasury, when under Age, and more particularly at the Whig Club and other factious Meetings, rendered his expulsion from the Privy Council indispensable, and obliges The King to express his astonishment that Mr. Pitt should one moment harbour the thought of bringing such a name before His Royal notice: To prevent the repetition of it, The King declares, if Mr. Pitt persists in such an idea, or in proposing to consult Lord Grenville, His Majesty will have to deplore that he cannot avail himself of the Ability of Mr. Pitt, with necessary restrictions. These points being understood, His Majesty does not object to Mr. Pitt’s forming such a Plan for conducting the Publick Business as may, under all circumstances, appear to be eligible; but should Mr. Pitt unfortunately find himself unable to undertake what is here proposed, The King will in that case call for the assistance of such Men as are truly attached to our happy Constitution, and not Seekers of Improvements which, to all dispassionate Men, must appear to tend to the destruction of that noble Fabrick which is the pride of all thinking minds, and the envy of all foreign Nations. The King thinks it but just to his present Servants to express his trust that, as far as the publick Service will permit, He may have the benefit of their farther Services. I had yesterday the Honor of receiving from the Lord Chancellor Your Majesty’s Letter, and am very sensible of Your Majesty’s Condescension and Goodness in deigning to renew the Assurances of Your Approbation of the sentiments of Duty and Attachment which it has been my wish to manifest towards Your Majesty. At the same time I can not refrain from expressing the deep concern with which I observe the manner in which my Sentiments appear, in some respects, to have been misunderstood, and the unfavourable impression which Your Majesty seems to entertain respecting parts of my Conduct. Your Majesty will, I trust, permit me in the first place to assure You, that the Opinions I have expressed respecting the Person now holding the chief Place in Your Majesty’s Government [i.e. Addington] have not arisen from any sentiments of personal dislike to that Gentleman. They have been formed wholly on the view of his publick Conduct, and rest on Grounds which I have already taken the liberty of laying distinctly before Your Majesty. On the subject of the Proposal made in 1801 respecting the Catholics, it has been far from my desire to renew any detailed Discussion. But I feel it due to two of my former Colleagues to express my persuasion that they were guided, on that important occasion, by very different motives from those which Your Majesty has been led to impute to them; and in justice to myself I must beg leave to declare, that my Opinion on that subject was formed on the fullest deliberation, and that the measure then suggested appeared to me, for the reasons which I them submitted at large to Your Majesty, to be as much calculated to confirm the Security of the Established Church as to promote the general Interest of the Empire. My opinion of the propriety and rectitude of the Measure at the time it was proposed, remains unaltered, but other considerations, and sentiments of Deference to Your Majesty, have led me since to feel it both a personal and publick Duty to abstain from again pressing that measure on Your Majesty’s consideration. The humble assurance of this determination on my part has been long since conveyed to Your Majesty, and recently renewed; and to that Assurance, without any addition or Alteration, I must humbly beg leave to adhere. 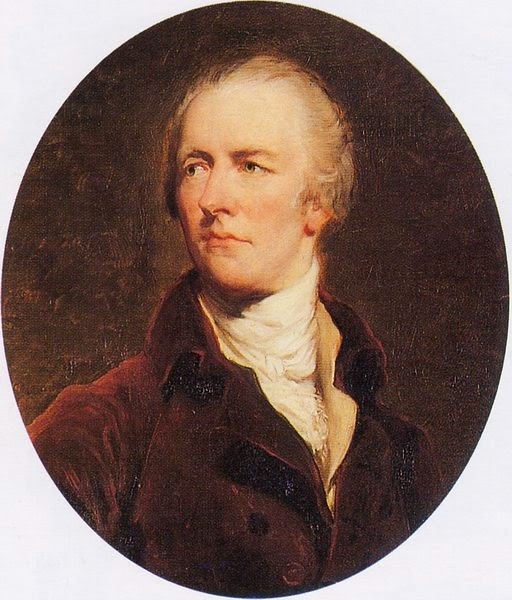 The result of this discussion was that Pitt became First Lord of the Treasury and Chancellor of the Exchequer for the second time on May 10, 1804. His ardent wish - to form a united, comprehensive government with Grenville and Fox - never came to pass. Pitt was on his own. I cannot help but attribute the obstinacy of King George III to the relatively weak government Pitt was forced to form. Within eighteen months, it would cost Pitt his life. 1. Mr. Pitt to King George III. April 22, 1804 (copy). The British Library, Dacres Adams MSS: BL Add MS 89036/1/11 (unbound), ff. 15-15(i). 2. Mr. Pitt to the Lord Chancellor, May 2, 1804 (copy). The British Library, Dacres Adams MSS: BL Add MS 89036/1/11 (unbound), ff. 16-16(iii). 3. King George III to Mr. Pitt, May 5, 1804 (copy). The British Library, Dacres Adams MSS: BL Add MS 89036/1/11 (unbound), ff. 16A-16A(i). 4. Mr. Pitt to King George III, May 6, 1804 (copy). The British Library, Dacres Adams MSS: BL Add MS 89036/1/11 (unbound), ff. 17-17(i). The image of Pitt was taken from here.